The contractor should apply for the building permits. He is familiar and experienced with the process and can expedite the approval. How Do I Select My Materials? A well organized contractor should have a system in place to guide the client to websites and showrooms where selections can be made. Additionally, an interior designer can be hired on an hourly basis to help narrow the selection focus. This is usually money well spent since the correct color and texture combinations can make a tremendous difference in the overall appearance of the finished product. Since all selections should be complete prior to construction, the contractor should set realistic deadlines for the client to make their decisions. A delay in selection translates into a delay in construction, which neither the client nor the contractor wants. The contractor should provide a well defined, prioritized list that will help the client reach their selection goals and prevent delays. What Attributes Should I Look For? Do we relate well to each other? Can we build a lasting rapport? Is the contractor a good listener? Does he get back to you as promised? Are his proposals and contracts complete and easy to understand? Does he offer a strong warranty with his work? If you can answer “yes” to each of these questions, then this should be your contractor. The best way to find a contractor is through a personal referral from a friend or acquaintance. (www.dllr.state.md.us./license/occprof/homeim.html) to see if the renovation contractor is licensed. (www.oag.state.md.us/homebuilder) to see if the home builder is licensed. (www.baltimore.bbb.org) to see if the contractor has any complaints and if those complaints have been resolved. Also inquire as to how long the contractor has been in business. Business longevity is a good indicator of a stable, well organized contractor that takes pride in his work. Did he perform as promised? Was the project finished on time and within budget? Also, look at some jobs in progress to see if the sites are neat, clean and well kept. Check to see if the framing is straight and if the finish work is crisp and well crafted. Do not select a contractor on the basis of price alone or the lowest bid. The lowest price is often a mistake in estimating that will cost the contractor who may look for ways to make up for that mistake. You want a relationship with a qualified contractor who will make a fair profit while working hard to provide you with the new home or addition of your dreams. 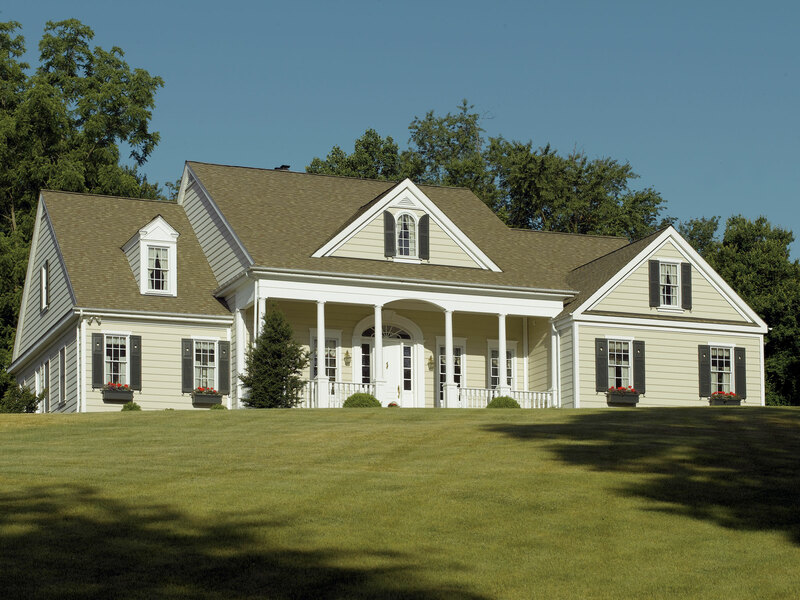 When building a custom home, you will need a construction/permanent loan through a local bank or mortgage broker. You will settle on the construction loan before construction begins and the total construction amount is deposited into an escrow account that is drawn down as work progresses. You only pay interest on the money that is paid out and, when construction is complete, the loan converts to a mortgage without the expense of another settlement. It is recommended to borrow about 5% more than the estimated cost to build in case you decide to make changes or additions to the original scope of work. For a home renovation, most people utilize the value of their home through a home equity loan. Generally, there are little, if any closing costs for this type of loan. As with any renovation construction, it is best to borrow 5-10% more than the estimated cost of the project or reduce the total estimated cost by 5-10% to allow for unexpected occurrences. A simple rule to follow when qualifying for a bank loan is that your monthly mortgage payment, (including escrow for taxes and homeowner’s insurance) should not exceed 30% of your gross (before taxes) monthly income. Since mortgage interest and real estate taxes are deductible from your income before paying federal income tax, buying a new home or renovating an existing one is a great way to invest your money while you enjoy living in that investment. Where Do I Find a Design? It is easy to find a design for a new home. There are endless floor plans available on the internet and it is not uncommon for a perspective client to arrive at a builder’s office with several different floor plans that they would like to integrate into a single home. The builder can blend all of these ideas into a new and unique plan that meets the client’s needs. However, if the client cannot find a suitable stock plan or would like a unique design, he should retain an architect to provide the design. Renovation design is not quite as easy. Your options are to hire a design/build contractor or retain an architect to draw the plans and a contractor to build the project. However, whenever an architect is hired, a contractor should be selected at the same time. That way, as design develops, the contractor can track costs to be certain that the design does not exceed the budget. What Comes First – Land or House? The size of the home you want to build may determine which property you purchase. Although you may find an ideal piece of property, the “building envelope” or the area where construction is allowed may be limited due to steep slopes, streams, or mandated forest retention areas. Always consult with a knowledgeable contractor before purchasing a lot. The builder’s expertise on site preparation costs may provide valuable information to negotiate a lower selling price for the lot. A builder can recommend the best orientation of the home to take advantage of the sun, views, topography and placement for best presentation as you approach from the road. In addition, he can tell you if a walk out basement is possible or if gravity flow plumbing from the basement level will work. Most important, he can make you aware of any hidden costs that may be associated with the lot. Finally, if you have a solid idea of the style and size of the home, an experienced builder can roughly estimate the cost to build the home. Add this estimate to the cost of the lot to be certain that the total does not exceed your budget. You can avoid buying a lot that will not accommodate your house or spending so much on a lot that you don’t have enough funds to build the home you desire. All contractors are required to provide at least a one year warranty on their product. At Plumb, our new home and renovation projects are warranted for a period of two years. Manufacturer’s warranties on building materials, plumbing, lighting, heating and cooling equipment are typically from one to 50 years and are passed on to the client. A well organized contractor will have a system in place to proactively contact clients prior to the warranty’s expiration to ask for a list of items that may need attention. Regardless of the warranty time frame, a reliable contractor will stand behind his work for anything other than normal wear for many years. This gives him the opportunity to build on his client relationship and earn repeat business and referrals. An experienced contractor will give the client a general schedule of the work to be done, what to expect and when it will happen. However, all schedules have some flex time built in for the unpredictable nature of construction, such as weather delays, scope of work changes, tradesmen schedule changes and hidden conditions uncovered during construction. There are a myriad of factors that come into play on a construction project. and all are interrelated. If one item changes, for example, the foundation footings can not be poured due to weather, all of the following processes will be delayed. That is why flextime is necessary in the event that there is a change so the entire schedule does not have to be reworked and the completion date delayed. Whether building a new home or renovating, you must prepare for the unexpected. A well organized contractor should keep the job moving with little disruption to the schedule. He is prepared to make decisions as construction proceeds to address the unforeseen condition or to make a change that will improve the overall value of the project. As with life, there will be highs and lows in the building process. Keep the difficulties of construction in perspective. The hectic period of time during construction is very small compared to the many years of enjoyment that you will experience living in your new home or renovation.